AND A SUPER HAPPY HEALTHY NEW YEAR 2018!!!! BEST HOLISTIC BODY THERAPY FOR ANYONE WITH JOINT, MUSCLE, CIRCULATORY PROBLEMS & COMMON INJURIES! FULLY MOBILE SERVICE! 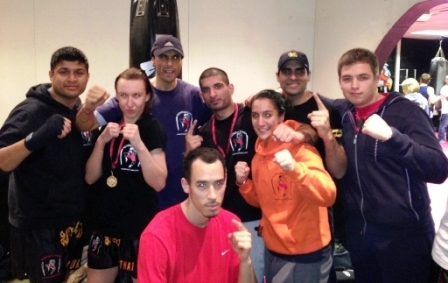 29th NOVEMBER LAST SATURDAY MUAYTHAI SEMINARS OF 2014 @ GREENFORD SPORTS CENTRE - BE THERE! 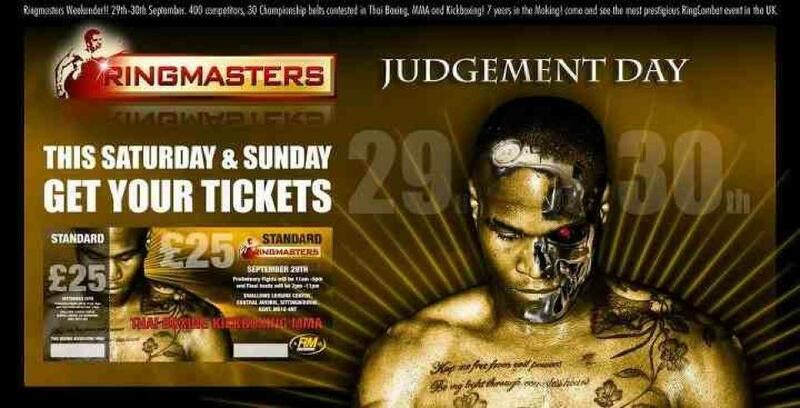 A fantastic 2 fights 2 wins in one day! 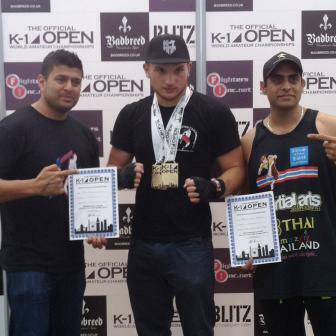 Now Amateur K-1 World Champion in the 85kg and 90kg weight category! 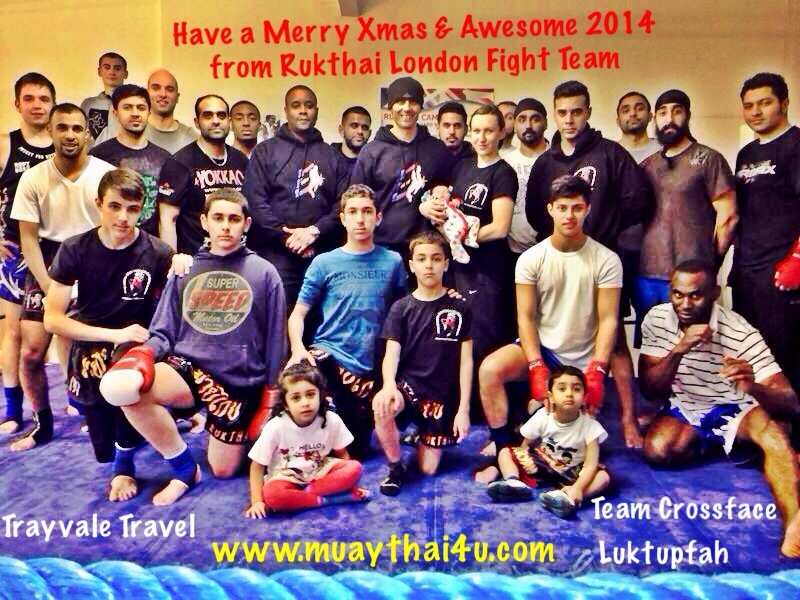 Team Rukthai LFT!!! Back from 'Gladiator Wars! in Reading awesome night for Rukthai LondonFightTeam - Jamie Green dominating clear points all three rounds with great combos and clinch work takedowns he's looking really sharp best muaythai display of the night and someone to look out for in future at 67kg - Sunil Rai's fight lived up to the event name absolute war getting a nasty cut on the eye from a knee to the head but ahead all 3 rounds with some good punches & clinch work,we managed to stop the blood (otherwise medical team wanted to stop it) great low kicks nearly stopping a very strong opponent strategy in the third to avoid more punches to the eye Sunil taking the fight win on points, heart of a warrior - 'Big' Dan's opponent took one look at him when he arrived and refused to fight! I tried to convince the trainer that Dan had 0 fights to his lads 4 fights but they didn't want it! Nice team & corner work again Shub Ghosh Amardeep (Dips) Dhillon Ania Korzecka Tony Green thanks for all your help. 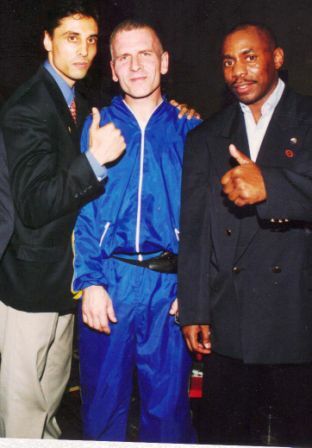 Note to trainers/fighters: If fighters are pre matched in same weight category please do not refuse to fight at the weigh in time because your opponent is 'too tall'. We go through alot to get there including time & costs! This has happened few times now and frankly whoever backs out there should be some kind of penalty, also to pay compensation to the let down fighter. 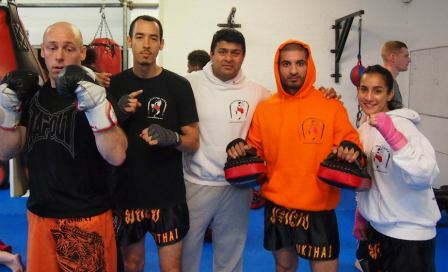 RUKTHAI LONDON FIGHT TEAM (LFT) @ GLADIATOR WARS!